The retirement explosion. 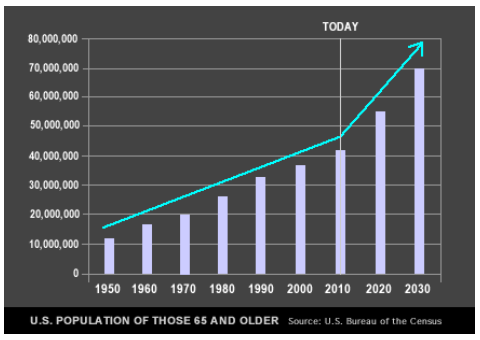 Today’s 45 million aged 65+ population will increase to 70 million by 2030. The color explosion. 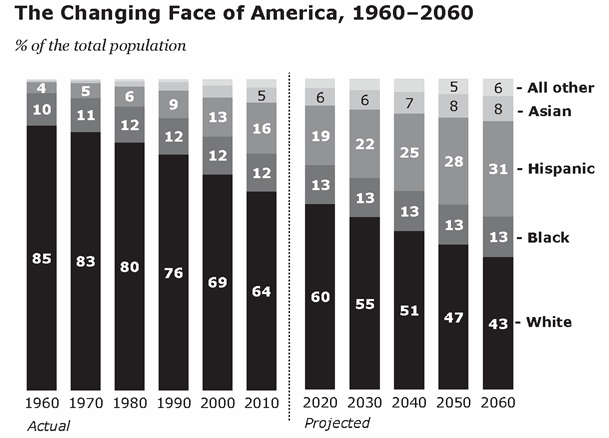 Today’s 65% Caucasian population will likely shrink to 43% by 2060. The ideology gap. 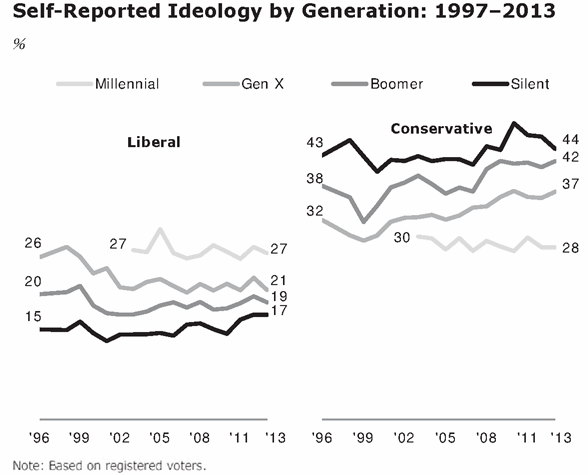 The four current American generations; the Silents, the Boomers, the Gen Xers, and the Millennials are increasingly less conservative and more liberal. The inequality gap. 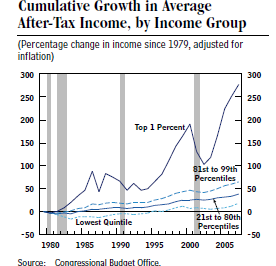 Both income and wealth inequality are growing rapidly and this trend is likely to continue. Each of these trends is firmly established by data as shown in the accompanying charts. There are huge political implications for these mega-trends. For starters, the biggest threat to our nation’s finances is the rapidly increasing cost of entitlements, especially Social Security and Medicare. Where will the political will to control this spending come from when there are ever more retirees who want to keep their benefit programs? With a surging immigrant population, primarily Hispanic and Asian, constantly gaining more political clout, it becomes more and more urgent to move our 12 million undocumented aliens out of the shadows with some kind of legal status. A broad based guest worker program would be a good way to get started. The ideology gap is more difficult to interpret. The four groups are more conservative than liberal and people in general become more conservative as they grow older. Nevertheless, there is an overall trend towards liberalism as age decreases. Finally, the growing inequality gap will inevitably create much resentment if ignored by our political system. Each of these four mega-trends will create pressure for more federal spending to address the needs and interests of various segments of society. We already have huge deficits, and rapidly increasing national debt, to contend with. How do we balance the pressure for more spending with the need for fiscal restraint? Stay tuned! On page nine of today’s New York Times is published a full page letter to Congress and President Obama, “Enact The Inform Act”, signed by over one thousand economists as well as former government officials. It would require “the Congressional Budget Office, the Government Accountability Office and the Office of Management and Budget to do fiscal gap and generational accounting on an annual basis to assess the sustainability of fiscal policy and measure, on a comprehensive basis, the fiscal obligations facing our children and future generations. The INFORM Act is sponsored by a nonpartisan and millennial driven organization which goes by the name, The Can Kicks Back . This is very significant because it is precisely the younger generation of Americans who should be most concerned about the fiscal irresponsibility of so many of our national leaders. 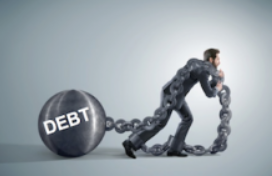 They are the ones who will be stuck with the huge national debt which is being generated by the profligacy of federal spending and also the ones who may have their own retirement benefits greatly curtailed because of it. Young people should be especially incensed by such irresponsible behavior which will affect them so greatly. We should support their efforts to turn around this ugly situation!